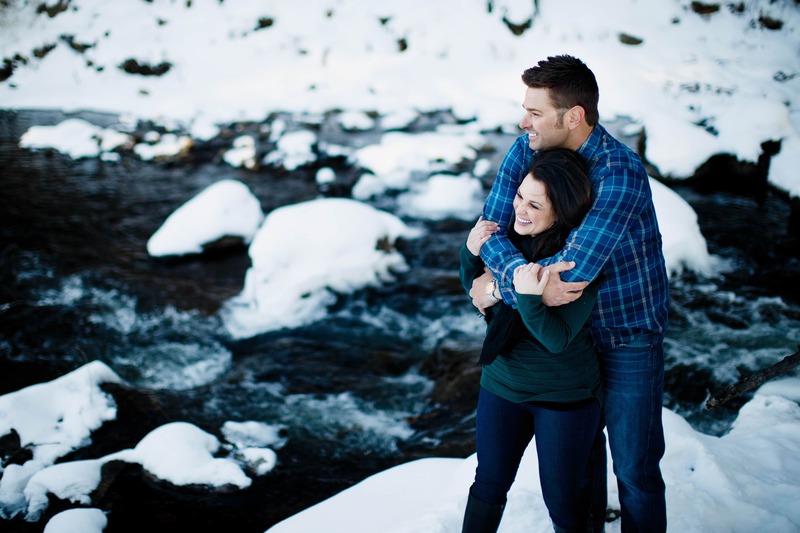 Last weekend I met Melissa and Jordan near her hometown of Evergreen for their Elk Meadow Park winter engagement. We grabbed a quick drink over at Evergreen Brewery before driving across the street to the park. 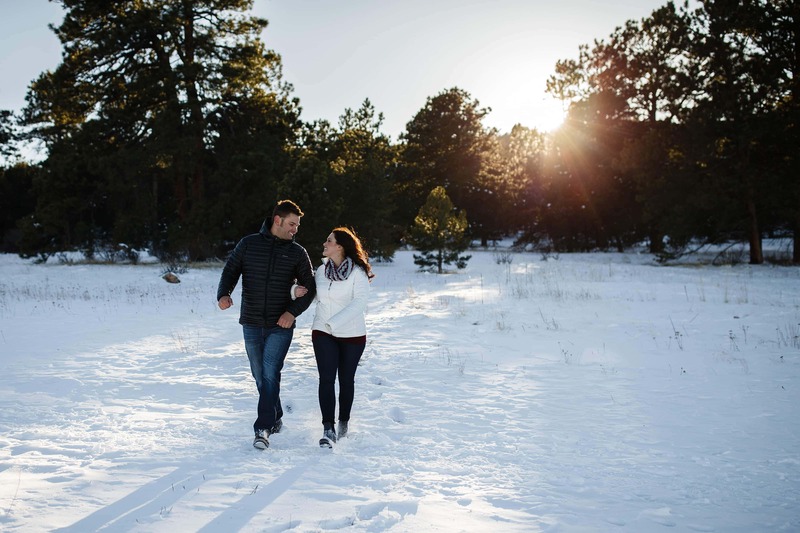 Despite the cold and windy conditions we had a blast tromping around in the snow before the sun fell behind the mountain. Jordan enjoys hunting this time of the year so he was accustomed to the chilly temperatures. It was a gorgeous area so I can see Melissa was keen to shoot in familiar surroundings. These two have an adorable connection together and once you spend some time with them you can see how well they compliment each other. 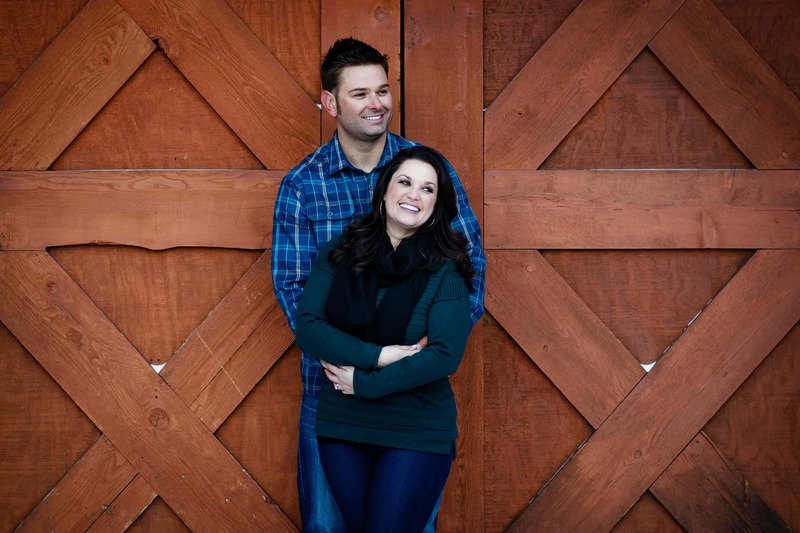 Melissa’s outgoing personality is infectious and definitely rubs off on him. Jordan and I are both University of Denver business school graduates which is always fun to chat about. 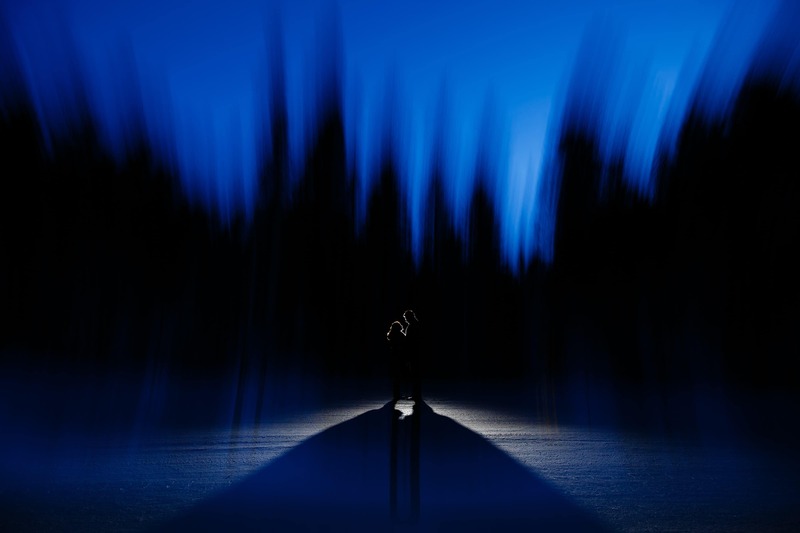 We ended the night driving up Squaw Pass Road where I found a location that reminded me of a photo that I made with a similar mountain backdrop. 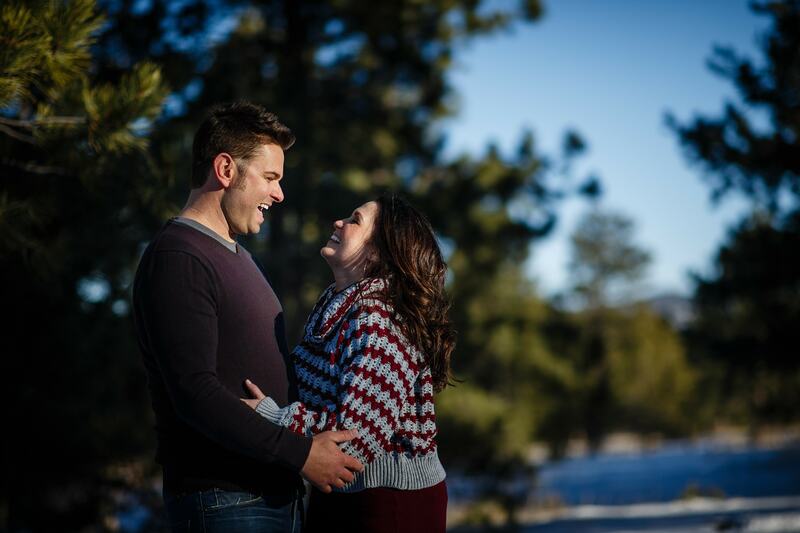 I’m looking forward to photographing their wedding at Cherokee Ranch & Castle Foundation south of Denver this coming September. 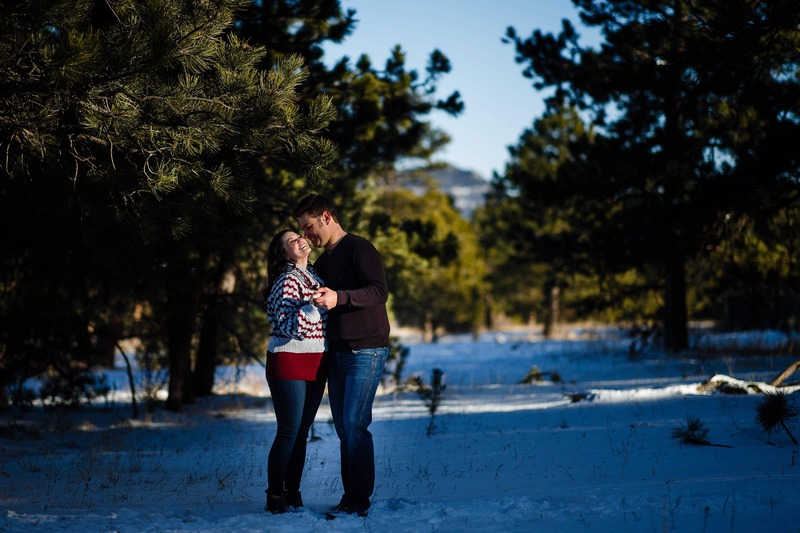 Until then, enjoy a few of my favorites from their Elk Meadow Park winter engagement session.